Andre is now an old man but still a man of his own mind. He's quick with a joke, especially one with an edge, and used to dominating conversations and relationships. But things are getting strange: His trusted watch goes missing, reappears, and is lost again. His daughter's stories don't quite add up. His furniture is disappearing and there are strangers at his table. The internationally acclaimed and theatrically thrilling The Father examines who we are to ourselves when our signposts disappear. 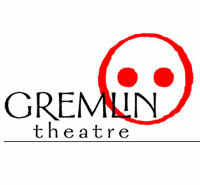 See this powerful drama at The Gremlin Theatre in Saint Paul.